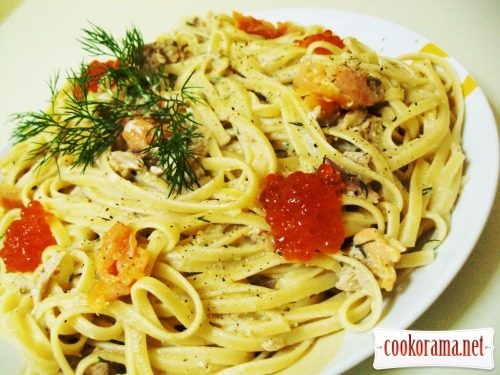 It seems there is nothing easier, but delicious. Boil linguini (I prefer al dente ) accordint to instructions. Drain water in which paste was boiled, leave half a cup of water. 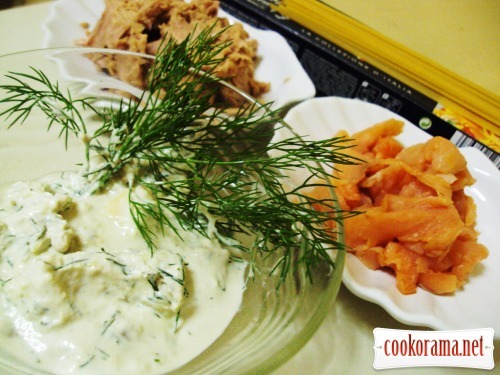 Stir in a saucepan paste with pieces of fish, add water, dip-sauce and oil. 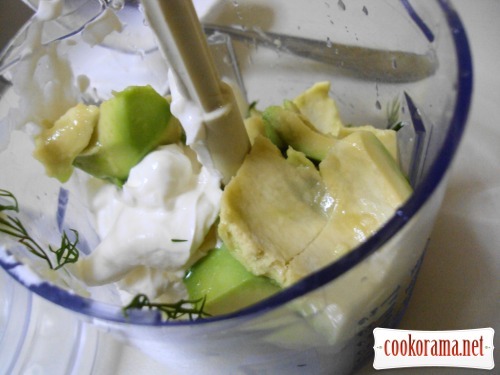 Dip-sauce: stir all ingredients and grind in blender. 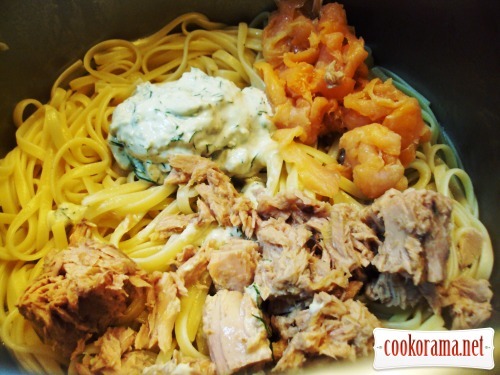 Spread linguini on dish. Garnish with slices of smoked fish, caviar and a sprig of dill. Sprinkle with freshly ground black pepper, if desired with grated cheese (type Parmesan). 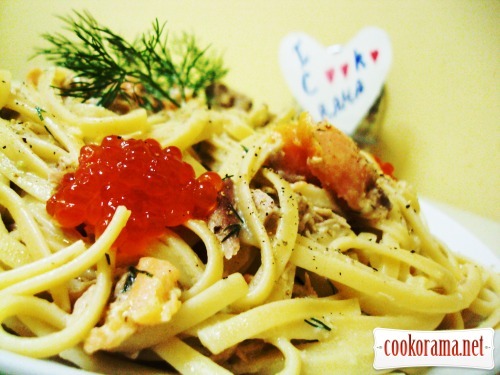 Top of recipe "Linguine with tuna, smoked salmon and red caviar"
ждите утром в гости , помните . что на ночь кушать вредно !!! Натуль, уже все съедено! Но ингры все в наличии. Так что ждем-с.